Skin Essence, A Day Spa, welcomes you to explore your senses while relaxing, rejuvenating, and enjoying the benefits of a world class spa treatment. Our goal is to introduce you to the finest treatments available in our beautiful Zen environment as we help you achieve a healthy lifestyle and well-being. We have hand-selected professional estheticians and massage therapists brought on based on their talent, values, and superb skills. Right away during your visit, you will sense our staff genuinely cares about taking excellent care of your skin not only during the visit, but for many years to come. Turning back the hands of time is our goal for you, all the while experiencing the ultimate retreat with the latest developments in skincare, anti-aging skin growth treatment, sun-damaged skin and acne treatments. We also offer Xtreme Lash Extensions, Therapeutic Body Massage, Chemical Peel, Permanent Makeup, Air Brush Tanning, Ion Cleansing, Infrared Sauna along with array of many other services guaranteed to renew your senses. Skin Essence Day Spa carefully select the top international pharmaceutical-grade products such as Vivant Skincare, SeroVital, Dermalogica, Glo.Minerals, Luxe and Xtreme Lashes. We are North Carolina's leaders in skin care and have a long list of satisfied customers. Each clients needs are different, and we take the time to learn your goals and to achieve it. 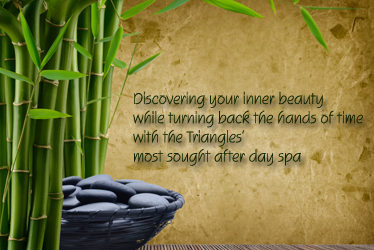 CLICK HERE TO TAKE A TOUR OF OUR SPA!